Born in Glasgow, Conway studied at the Royal Scottish Academy of Music then London’s Royal College of Music before returning to Scotland to take the position of Principal Cello with the Scottish Chamber Orchestra, a post he held for ten years. He is a founding member and Co-principal Cello of the Chamber Orchestra of Europe and has worked with many of the great conductors including Abbado, Berglund, Boulez, Karajan, Guilini, Haitink, Harnoncourt, Maazel, Nezet-Seguin and Rattle. He is a passionate advocate of contemporary music, is the dedicatee of several works and has commissioned and performed a huge range of new works from composers such as Sir Peter Maxwell Davies, Sir James MacMillan, Nigel Osborne, Stuart MacRae and David Fenessy. His work with Hebrides Ensemble, described by The Scotsman as ‘one of the most innovative and thrilling ensembles in Europe’ and now in its 25th year, underpins this commitment. By placing new music at the heart of a diverse range of repertoire, often in new and surprising contexts, Hebrides Ensemble encourages audiences to approach familiar music with fresh ears. His dedication to developing contemporary music has been recognised by an award from the Scottish Society of Composers for an outstanding contribution to new music. As a conductor, he studied in Helsinki with Jukka-Pekka Saraste and was a finalist and prizewinner in the 1994 Leeds Conductors’ Competition. Since then, he has established himself as a conductor of versatility in chamber, symphonic and operatic repertoire, and has conducted the BBC Scottish Symphony Orchestra, Royal Scottish National Orchestra, Scottish Chamber Orchestra, Royal Northern Sinfonia, English Sinfonia, Chamber Orchestra of Europe (with whom he has made a CD recording released by Warner), and the Symphony Orchestras of Cairo, Sofia, Zagreb, de Filharmonie of Flanders, the Belgian orchestra Beethoven Academie, Teatro di Cagliari, Göettingen, and the American Phoenix Symphony Orchestra in all repertoires from baroque to present day. He made his conducting debut at the BBC Proms this year in performances of Stravinsky's The Soldier's Tale. He has conducted many operas including Mozart's Magic Flute and Figaro, Verdi's Otello, Puccini's Tosca and Tchaikovsky's Eugene Onegin (later this year), the double-bill Cav/Pag, Puccini's Gianni Schicci to Nigel Osborne's Differences in Demolition and Sir Peter Maxwell-Davies's Martyrdom of St Magnus. 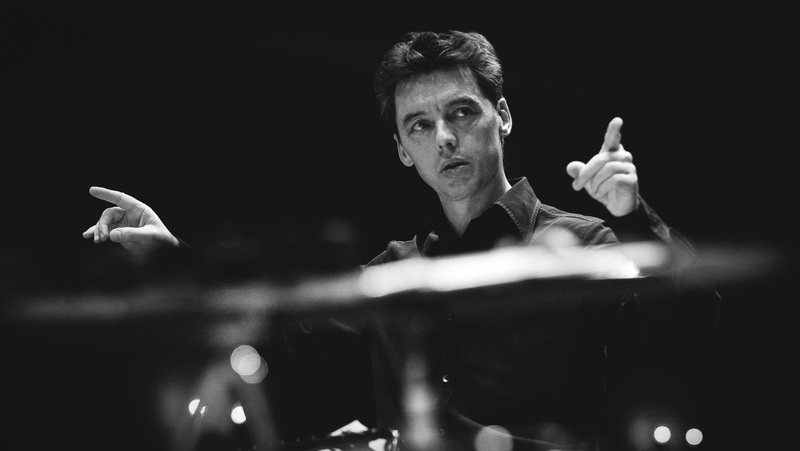 He is a regular guest with many young orchestras including the National Youth orchestras of Scotland and Australia. He is Music Director of Edinburgh Studio Opera and is Artistic Director and Head of Strings at St Mary’s Music School in Edinburgh. He broadcasts regularly on BBC Radio 3 and has recorded for Deutsche Grammophon, Linn Records, Unicorn-Kanchana and Delphian Records in a series of highly successful recordings of music by Sir Peter Maxwell Davies and Sir James MacMillan which have both reached no 3 and no 1 respectively in the classical music charts. Please enjoy a selection of my past and recent performances. Directed by the work’s dedicatee, William Conway (who has, most effectively, the last word in the recording), the Hebrides Ensemble – each member of which is allotted a substantial solo in the interludes that punctuate the sung sections – provide eloquent testimony to the sustained impact of MacMillan’s writing. [performances] with conviction, honesty, respect and musicianship... This perfect mixture happened on October 23rd in St James's Picadilly. Under the expert baton of William Conway we were able to hear every single musical line and the structure of the work was revealed in full. With the Music Director, William Conway wisely favouring swift tempos, [the performance of Otello] proved astonishingly convincing - and not just in the more intimate, transparent moments. This was a fabulously characterised account of the [Soldier's] Tale, conducted by Will Conway. Conway conducted the tight band [in] this wonderfully conceived and delivered performance [of Soldier's Tale]. spell-binding performance, a complete joy. For this programme was as potent a theatrical concept as a musical one....designed by Artistic Director William Conway as a seamless, uninterrupted, thought-provoking meditation. ...sometimes it's a history lesson; sometimes it's contrasting perspectives on an idea; sometimes it's almost a theatrical experience. Such was the cleverness of....William Conway in this First World War-themed concert, that it took in all these things, and more. Best of all, despite it's dark subject matter, it refused to wallow in pity or nostalgia. Once again Hebrides Ensemble's flair for programming, recruiting, preparation and performance ensured a life-affirming experience. So many wondrous voyages in the care of such a compact crew, extraordinary! William Conway, an artistic director with an eye for intelligent programming-and, in this touring show, a flair for the unpredictable. given the track record of the imaginative and versatile Hebrides Ensemble, for whom predictability and run-of -the mill programming are anathema, let alone their previous successes .......true to Hebrides' form, the message was simply this:don't miss it. inspired approach...a performance that combined moments of aching stillness with bursts of high octane ecstasy...they wrung every pore of emotion from Messiaen's magical score. "William Conway, an artistic director with an eye for intelligent programming....a flair for the unpredictable."